She is the first heroine for the sub-faction Sorority and Fadela. 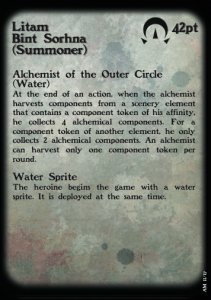 4 AP, a REFlex of 6, DEFense of 12, COMbat 2, a table of DAMmages of alchemist, his role is obviously not to fight. She will start the game with a water sprite, and she will be able to call 2 others. Litam Bint Sorhna benefits from two powerful alchemical formulas. 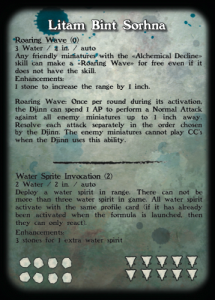 The first will trigger a roaring wave on allied miniatures that have the Alchemical Decline skill (Djinn, Water Sprite). 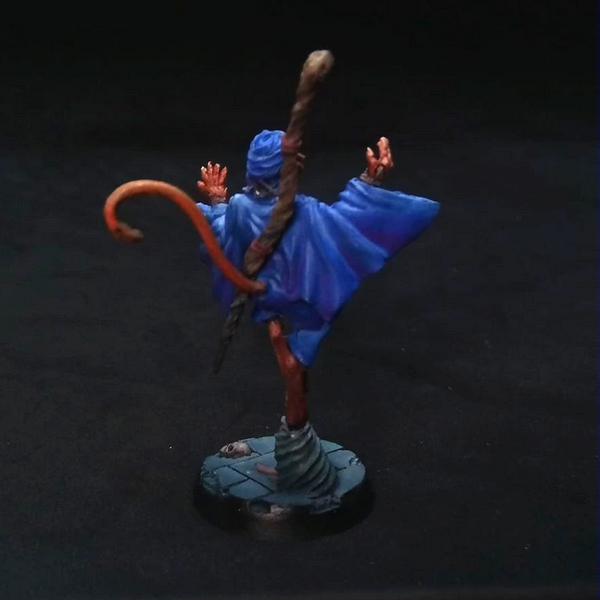 These miniatures will be able to fight for free against all enemy models that are 1 inch away from them, without them being able to reply. 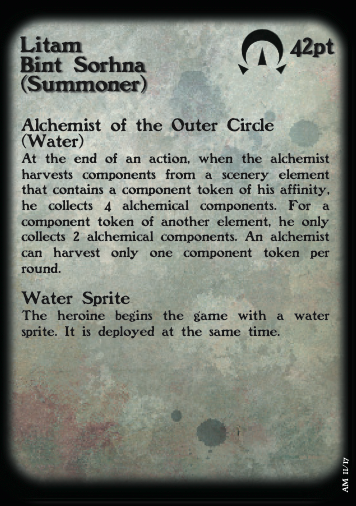 The second formula, Water Sprite Invocation, allows you to summon up to 2 Water Sprite. 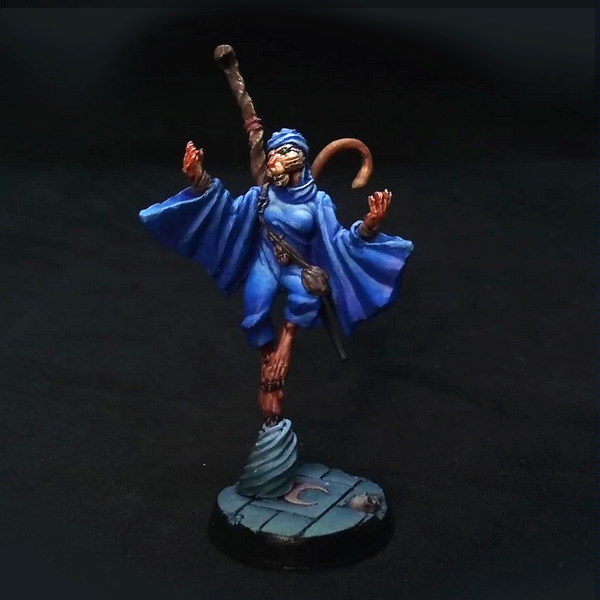 Litam Bint Sorhna is a summoner. Thus, models that have the Alchemical Decline skill (Djinns, Water Sprite) lose 1 life point at the end of each round because of this skill. 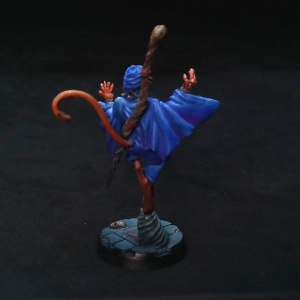 Litam can spend a stone for free to prevent the allied miniature from losing that life. 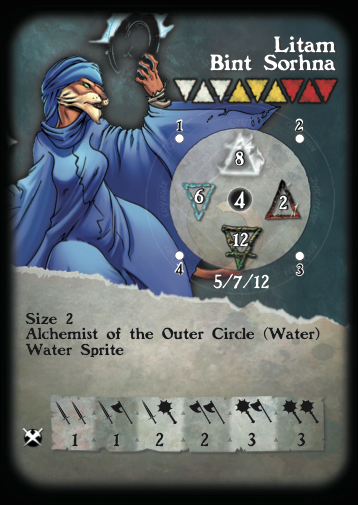 An additional stone may be spent to heal the 2 life points.